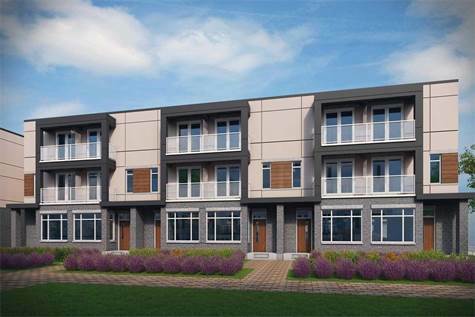 At The 6Ixth Modern Luxury Town Homes Contemporary Modern Finishes 3 Bedroom, 3 Washroom, 2 Balconies, A Private Rooftop Terrace, Walk Out To Patio With Gas Bbq Connection & Plenty Of Outdoor Space. Amenities Of Oak Park Shopping Centre, Glenn Abbey Golf And Oakville Golf Club, Local Schools. Minutes To Go Transit And An Abundance Of Surrounding Green Spaces Including Lions Valley Park Estimated Occupancy September 2019.